As a firefighter, Brian Shackelford has to be able to lift both objects and people. This includes his heavy firefighter gear and transporting people when doing EMS work. He went to Dr. Ian Wilkofsky of Orthopedic Associates in Flower Mound, Texas who suggested a shoulder replacement. In May 2016, Shackelford underwent a new surgery called a stemless shoulder replacement. This both helped relieve his chronic pain and keep him at his job. Shackelford was diagnosed with ankylosing spondylitis, an inflammatory arthritis that typically affects the spine and the large joints. Much smaller than its predecessor, the stemless joint is an egg-shaped, coated titanium object with ridges on it — Wilkofsky describes them as “fins” — that are reminiscent of a Phillips screwdriver head. The ridges are coated with a special material. No long rod has to be inserted down into the bone to keep the new joint in place. The stemless joints are less invasive, and involve less bone. Brian was implanted with the SIMPLICITI™ Stemless Shoulder Replacement in May 2016. 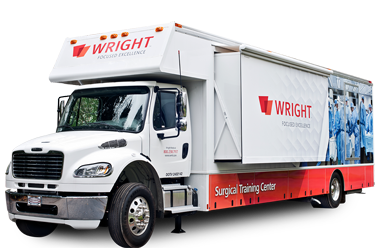 The opinions of Brian Shackelford and Dr. Ian Wilkofsky are theirs alone and do not necessarily reflect the opinions of Wright Medical.